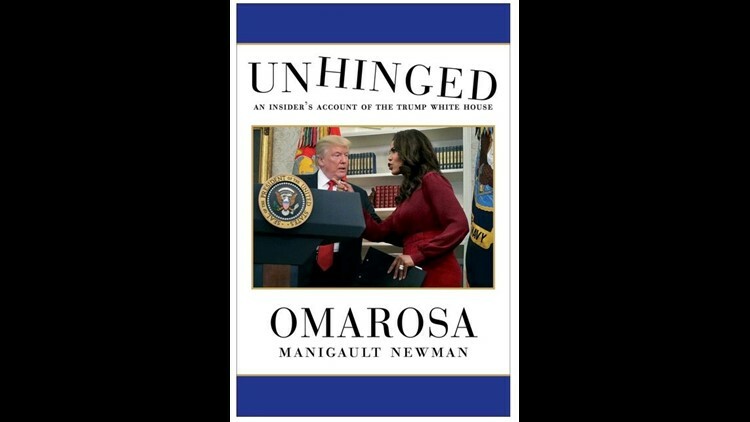 Omarosa Manigault-Newman, the flamboyant reality TV star and former White House official, claims in her new tell-all book that she detected a "mental decline" in President Donald Trump during her raucous 7-month tenure with the administration. The observation emerges in an excerpt of "Unhinged: An Insider's Account of the Trump White House," which was obtained by the Daily Mail. The book is set for release Aug. 14. In it, she described her reaction to watching Trump’s interview with NBC’s Lester Holt in May 2017 regarding the firing of FBI director James Comey. “Donald rambled. He spoke gibberish. He contradicted himself from one sentence to the next,” she wrote, saying she watched the interview on TV in a White House press office. According to the Daily Mail's excerpt, Hope Hicks, who was then White House communications director, had prepped Trump for the interview and emphasized repeatedly that he was supposed to say that he had fired Comey based on the recommendation by the Department of Justice. That, wrote Manigault-Newman, was a clue that something wasn't right. Manigault-Newman first met Trump when she appeared on The Apprentice. In the 1990s, she worked in the office of Vice President Al Gore during the Clinton administration and later at the Commerce Department. For much of 2017, she served as director of communications for the office of public liaison for the White House, but was fired by Chief of Staff John Kelly in December. She had to be “physically dragged and escorted off the campus,” The Wall Street Journal reported. She denied the claim and said she had resigned. After leaving the White House, Manigault-Newman stirred controversy again by appearing on Celebrity Big Brother where she said she was "haunted" by Trump's daily tweets. In this Feb. 1, 2017, file photo, President Donald Trump speaks during a meeting on African American History Month in the Roosevelt Room of the White House in Washington. 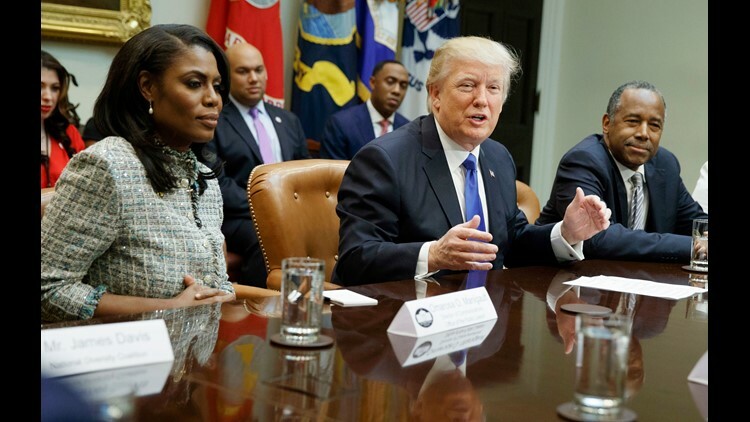 Omarosa Manigault is seated on the left.